Debris on the water has always been a headache for marina operators, regardless of location, every marina, has dealt with cigarette butts, plastic drink bottles and food wrappers. For the most part, the debris that ends up in the water originated on land. By one estimate, 80 percent of debris comes from land-based sources before making its way to marine environs due to stormwater runoff, wind, or other means. The Port of Everett in Washington hosts an annual cleanup day every spring. Between 50 to 70 participants canvas the marina and nearby Jetty Island. In the past, debris has been viewed as just an eyesore, but that’s changing. Research and reporting on the multiple negative impacts of trash on the environment, wildlife and on human health is bringing a greater awareness of the need to cut down on waste. It is also driving interest on the part of boaters and marina operators on how best to clean up trash. Nationwide, the North American Marine Environment Protection Association (NAMEPA) is at the fore of the effort to reduce marine debris. NAMEPA works to spread awareness of how to achieve clean seas and waterways through educational programs, by sponsoring events, highlighting successes, and by promoting best marina practices. One initiative that is catching on with marinas across the country is a joint effort sponsored by NAMEPA, the Ocean Conservancy, the California Coastal Commission and the California State Parks Division for Boating and Waterways, called “Marina Cleanup Day for Trash Free Seas:” http://www.namepa.net/marina-clean-up-day/. Armed with an informational toolkit from NAMEPA, many marinas are opting to host their cleanup days as part of the National Marina Day festivities on June 9th or during July 4th celebrations. NAMEPA is gaining support in its outreach, both at the state and at marina level. At the state level, California is a leader in raising awareness of the threat posed by marine debris and working to remedy the problem. Maryland is too, proving that a large coastline isn’t necessary in order to tackle marine debris. In recent years Donna Morrow, program manager at the Chesapeake and Coastal Service at Maryland Department of Natural Resources (DNR), has overseen the growth of the Maryland Clean Marina Initiative into a multi-prong campaign. Maryland DNR circulates a newsletter that regularly tracks the problem of marine debris. Morrow helps raise awareness among boaters of certified Clean Marinas in the state (roughly a quarter of Maryland’s 600 marinas are Clean Marinas). She also promotes participation in cleanup events, and creates tip sheets that she distributes to marinas; the tip sheets include data from the Ocean Conservancy about the deadliest ocean trash and steps to prevent litter. Thanks to the leadership of the Ocean Conservancy, volunteers removed at least 38,080 pounds of litter from Maryland’s shores in 2016. 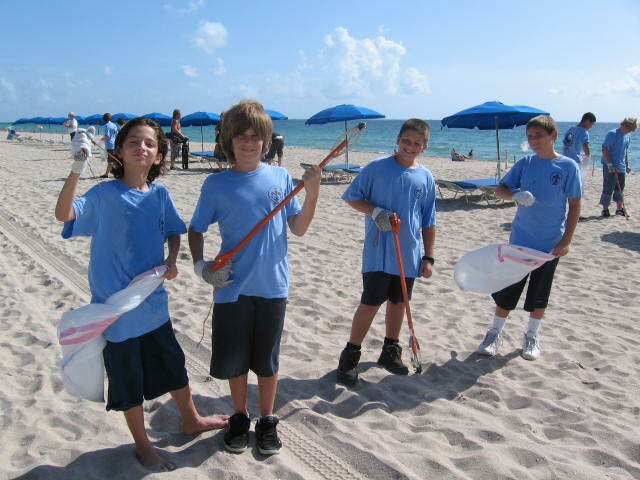 Regularly scheduled cleanups certainly help raise awareness, and it can also help foster community cohesion. But debris cannot be dealt with in one fell swoop. As Scott Salomon at Hall of Fame Marina in Fort Lauderdale said: “Marine debris is a moving target, there’s always trash in the water.” Hall of Fame Marina, which is owned by Westrec Marinas, was designated as a “Clean Marina” by the Department of Environmental Protection and was Fort Lauderdale’s first designated Clean Marina in 2002. Salomon noted that marina operators must work with boaters, as well as the broader community, to foster an ongoing cleanup mindset. Marinas with the prestigious Clean Marina designation pick up trash on the grounds daily. But any marina can take simple measures to secure trash and limit marine debris. See the sidebar on page 30 for a list of low cost practices. 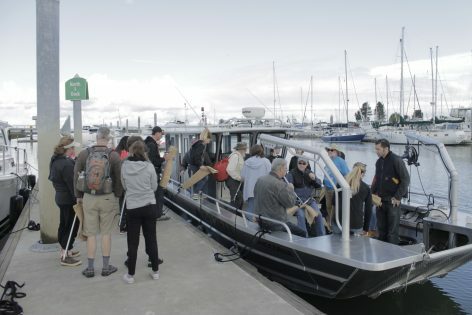 Innovations are now bringing the cost of environmental technologies in line with old, dirtier ways of boating, just as the Internet and social media are spreading the word about the hazards of debris. Properly navigated, these trends can feed on each other, helping boaters to become more informed and conscious of the environment without having to spend a lot more. For example, through its active cleanup efforts, the Maryland Department of Natural Resources has been able to spread the word about innovations that aid in the fight against marine debris, setting in motion a positive feedback loop. Marine debris will not soon disappear completely, as land-generated trash is not about to stop showing up on the waters. But the amount of it can be dramatically reduced. Sharing information on best practices and hosting cleanup events can help foster active debris removal measures, feeding the ongoing cleanup mentality that’s needed for wise stewardship.